The big story is that only one of these two giants will be appearing in the Champions League final - this match would certainly have made for a worthy finale to the competition. Munich will host the first match, and there is only a six day turnaround for each side as they will travel to Madrid for the conclusion. The big matchup at the front is between Cristiano Ronaldo, who is almost assured yet another golden boot award in the competition, and Robert Lewandowski, who is perhaps Europe's best out and out striker. The midfield is full of big names: Thomas Müller and Javi Martinez will surely start for the German outfit, while the likes of Isco and Luca Modric are certain for the Spaniards. It's a colossal matchup between two sides with 17 trophies between them. Madrid will be aware that they must defeat their great continental rivals to attempt a third consecutive cup, something last achieved by Bayern Munich in the 1970's. Liverpool are making huge strides under Jurgen Klopp, and their return to Europe has brought about almost immediate success. 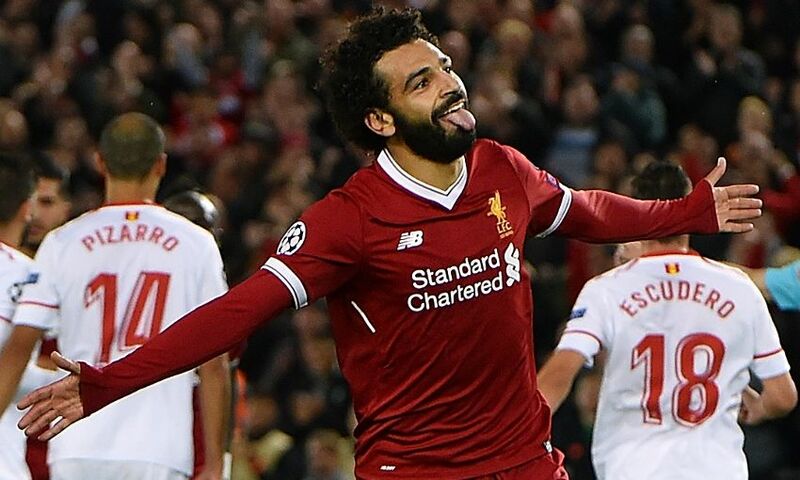 The key to their excellent season has been their ability to score goals (they are the top scorers in this year's competition by a decent margin) and boast arguably the most in-form forward on the planet in Mohamed Salah. This tie was almost planned - Salah will face his former club AS Roma for a place in the Champions League final on May 26th, and there will surely be a big story if he manages it. Liverpool's acquisition of the Egyptian appeared to be relatively obscure despite his good form in Italy, but has long since proved to be a master stroke. While the English club have the formidable trio of Salah, Roberto Firmino and Sadio Mane up front, let's not forget Roma, who were good enough to score four goals against Barcelona. While Edin Dzeko is undoubtedly the biggest threat, their goals have come from all over the park, which is always a good sign. Regardless of who wins, there's guaranteed to be a fresh face in this year's final - Barcelona, Real Madrid, Atletico Madrid and Juventus are the only teams to have competed in the last four Champions League deciders. The top online sportsbooks were scrambling to adjust the odds after this mornings draw, just a day after they had crossed out Barcelona and almost had done the same with Real Madrid. The Italians are unsurprisingly last on the list given their lack of European pedigree. They will also be less fancied to make the final than their English opponents which means it is hard to see them reaching the final. Yet they will see Liverpool as an easier task than perhaps Barcelona were, and once again they will have the second leg at home, a luxury they've had in their entire knockout run so far. Could this be the year they finally lift the trophy? Surely they are worth a punt at these odds. Liverpool are the third favourite, which indicates that the betting community believes this year's winner will come from the first semi-final. That will please Jurgen Klopp, who has definitely thrived in the big matches prior to this one. They will have their work cut out against Roma, although need only to put in a performance like they did against City to ensure they will compete in an eighth European final. Munich have only missed the semi-finals twice in their last nine attempts, although have converted just one into a Champions League victory. It's not going to be easy to progress at the expense of Real Madrid. This will be Bayern's first real test in the knockout stages, after breezing through their two ties, and although they beat PSG, that match was essentially a dead rubber. They have the ability to knock out Real, but we wouldn't be putting our money on it. This will be Real Madrid's eighth consecutive semi-final appearance, a remarkable record that will be difficult to surpass (and it's not over yet). Madrid have already won three of the last four titles and will be looking to make it four in five. With arguably the world's best player up front, and one of the world's greatest ever at the helm, can anyone stop the defending Champions? While we're big fans of Klopp's Liverpool, who we believe will make it to the final at Roma's expense, we can't see anyone beating Real Madrid (despite Juventus coming so close). Madrid will scrape through the semi-finals in a tough match against Bayern and be too good for England's last hope. Be sure to check back regularly for odds updates and our preview of the semi-final fixtures. The biggest talking point of the quarter-finals is undoubtedly Barcelona's incredible capitulation at the hands of Roma. Up by three goals on aggregate, Lionel Messi's team crumbled in the Italian capital, to go out at the quarter final stage for the third time in a row. 1-0 down at half time, the Spanish giants appeared to still be the favourite to progress, however, two unanswered second half strikes sent them packing, and they will have to be content with league success in 2017/18. There was another huge story in Madrid as Juventus and Real Madrid played out a classic second-leg match full of drama. No one in the world expected Juventus to come back from their 3-0 home defeat, yet as the clock approached hit the 90-minute mark the tie was level at 3-3. Then, Gigi Buffon was sent off and Ronaldo had the chance to send his team through from the spot. He did what he always does, in the process scoring in his eleventh consecutive Champions League match. Liverpool also shocked us in winning their second leg match in Manchester. We had predicted that City would be more likely to win this one (although expected Liverpool to progress), yet Liverpool heaped more misery on their English rivals by ensuring they would suffer a third loss in the space of six days, extinguishing their dream of a rare treble in the process. We were also surprised to see Bayern Munich fail to score in their match against Sevilla. In truth, the Germans only needed a draw, although the conclusion to their tie was lacklustre at best. Were they playing in second gear or is this a troubling sign ahead of the semi-finals? There's no looking back now. All four teams are within touching distance of the coveted Champions League trophy. Real Madrid will be looking for a third in a row and thirteenth overall, while Bayern and Liverpool will be hoping for a sixth. Roma have never lifted the trophy, with just one final appearance way back in 1984.